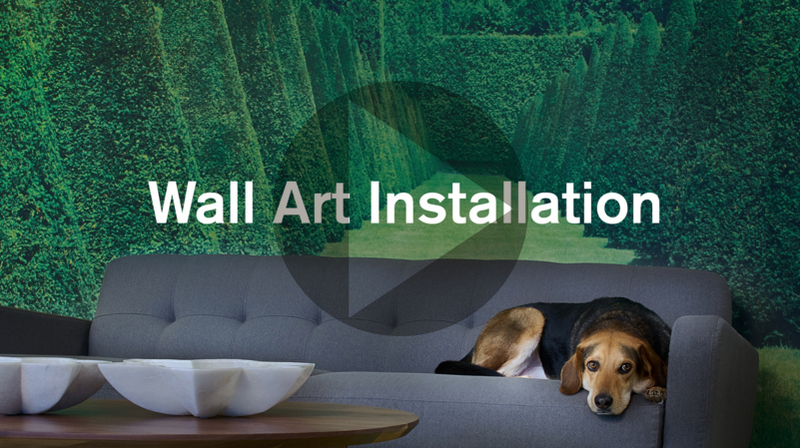 How do you strategically position a brand that spans seven unique business segments including graphic communications, signage, apparel, promos and even custom wall covering? A company with online smart stores and an online communications platform for their clients? A company with over 12,000 registered users? 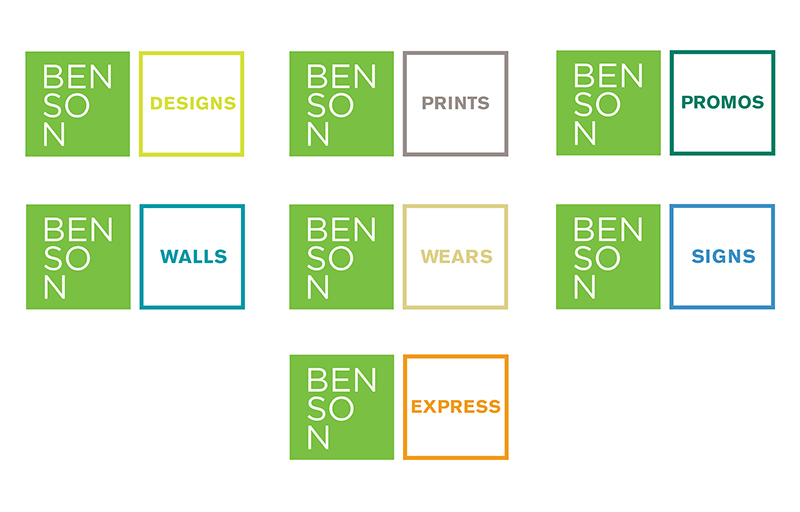 Benson, Integrated Marketing Solutions is a single source for multifamily marketing products and services. The company is a hive of activity that prides itself on adopting and adapting the latest technology and solutions and putting them to action for their clients. Be it advances in digital communication tools, print technology, monument signage or apparel and promos, Benson is on the forefront of lifestyle marketing. Yet what goes along with this constant innovation is an environment that is ever in flux. 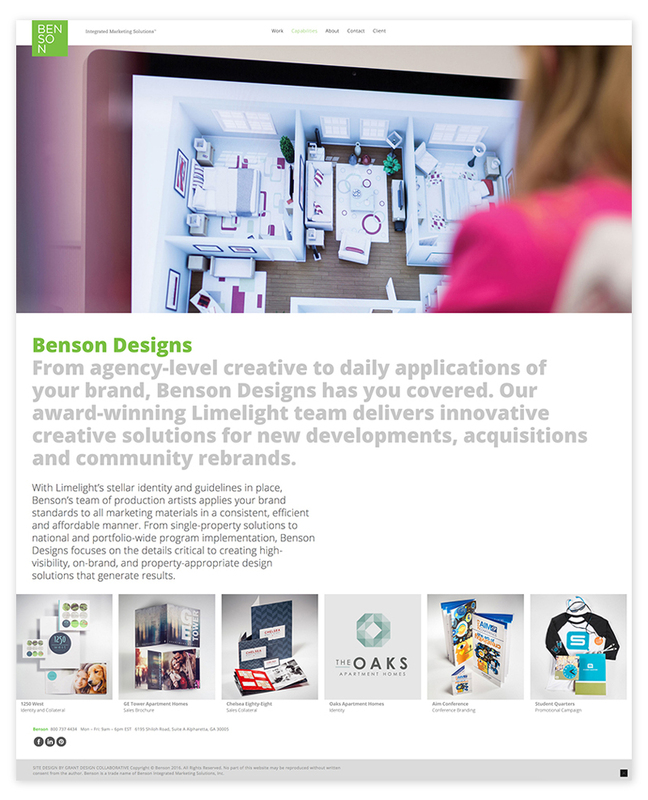 Our ongoing brand strategy with Benson requires us to pause the action, view the complete picture and craft the narrative from operative moments. By curating those moments into how they think, make and deliver solutions, we can succinctly portray the complexities and amplify the tangible differences in simple, impactful stories. Editing is key. 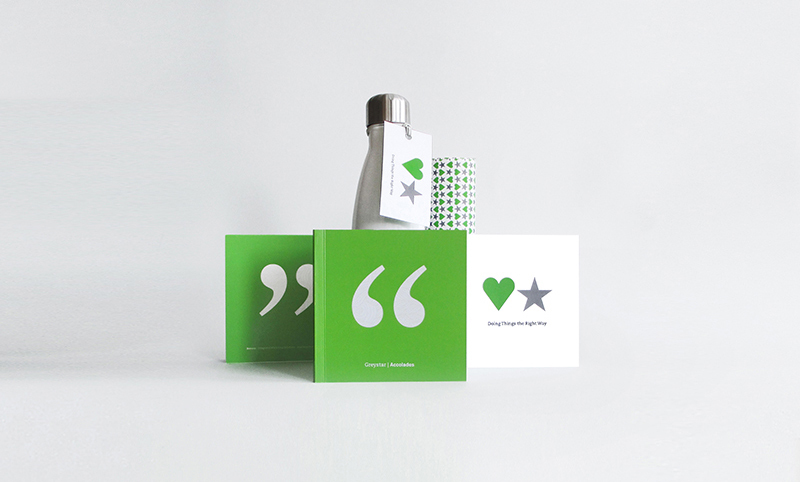 Homing in on the critical elements and getting to the heart of the company helps reveal the essence of the brand. Our task often involves less telling and more showing—inviting the audience to explore the Benson experience in a cohesive, accessible, and visually dynamic way that highlights the true Benson culture and spirit. 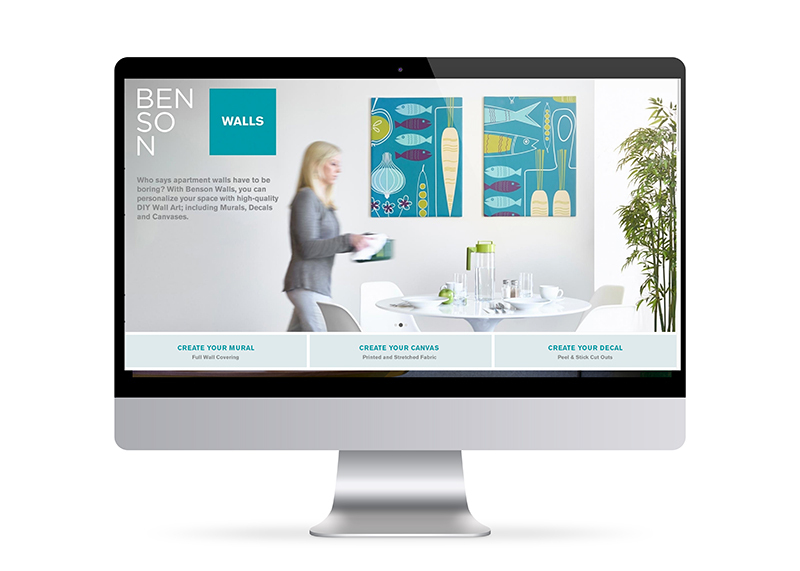 In addition to strategic brand sessions and company stewardship, our work includes the design of corporate selling tools and online experiences for the overall company as well as Benson Walls. 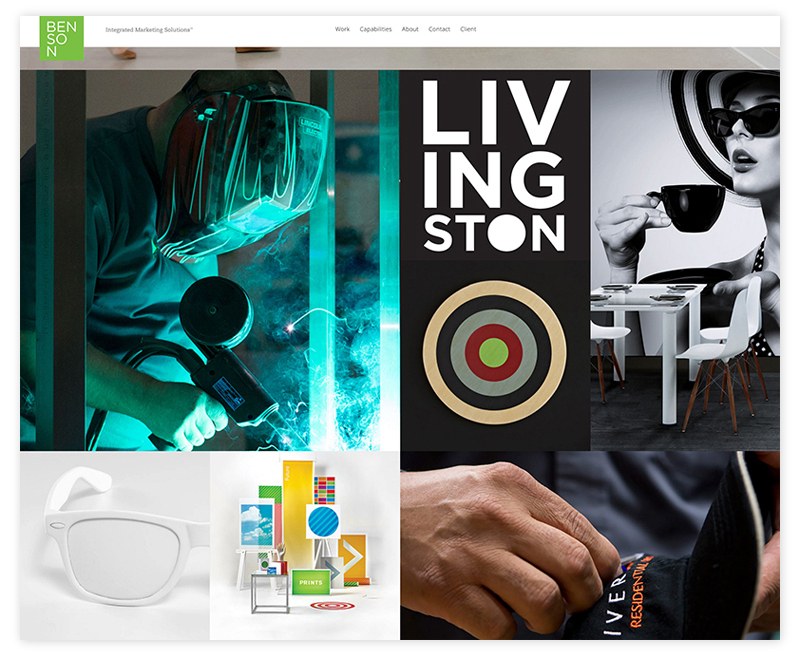 We’ve concepted and developed a portfolio of projects built on years of close collaboration, emphasizing moments that highlight the people, processes, products and places that make Benson unique. 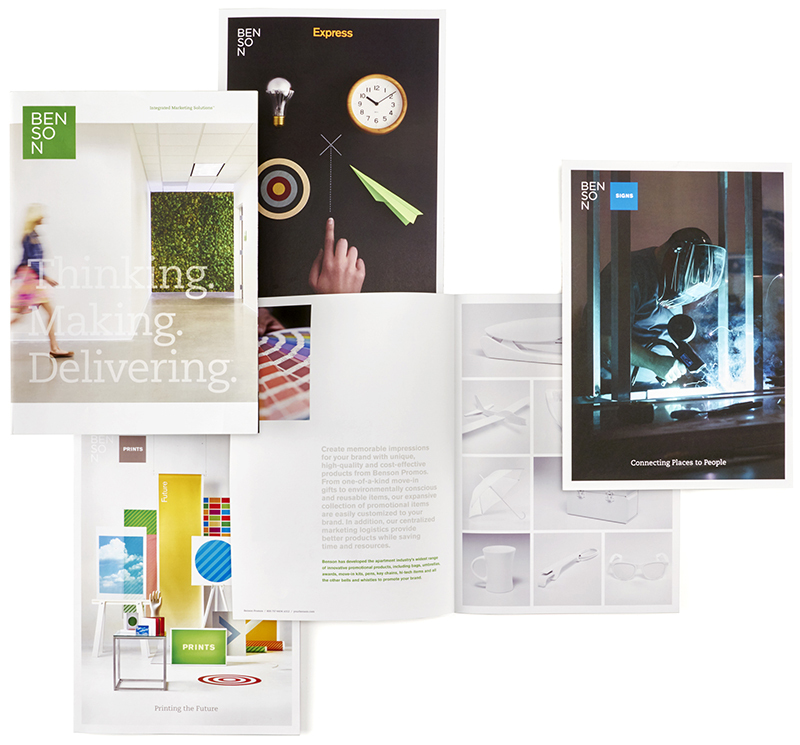 We’ve also created a suite of materials conveying their distinct position in multifamily including a library of conceptual photography, imbued with wit, to complement immersive documentary photography and case studies on client collaborations that bring visitors right into the action. 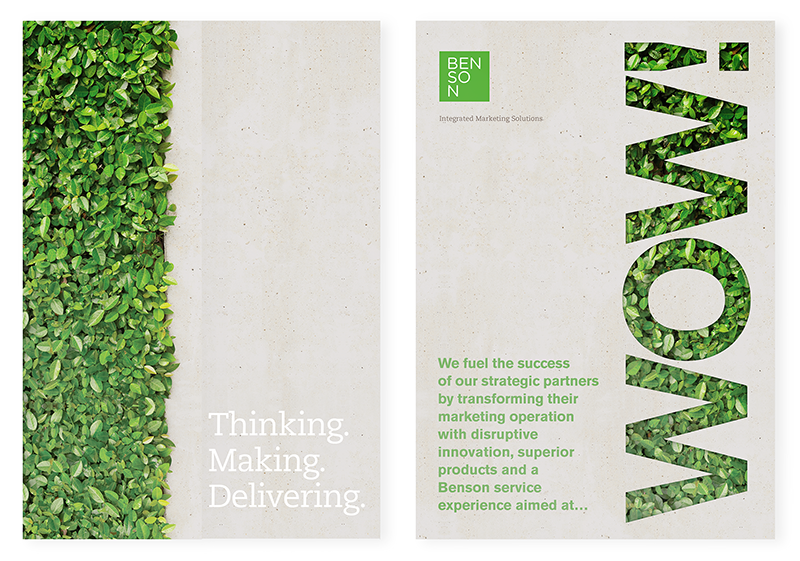 Our long-term engagement with Benson as a strategic design partner lets us go back to basics, tap into our process of strategically crafting a brand, and cohesively and creatively position them as the rightful leader in the industry.